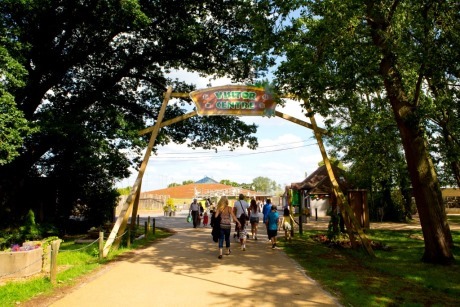 School Travel Organiser speaks to Dr Sharon Redrobe from Twycross Zoo about the importance of learning outside the classroom and what pupils can do at the zoo. Dr Sharon Redrobe, the chief executive at Twycross Zoo in Leicestershire, has just received an OBE in the Queen’s New Year Honours List 2017 for her services to Skills, Science and the Economy in Leicestershire. Renowned as a wildlife vet and a leading figure in the world of primate conservation, Sharon has over 20 years’ experience working in academia, charity and business sectors. She’s also a strong advocate for learning outside the classroom and a believer in letting children discover the world through immersive and exciting experiences. And as the CEO of a zoo that sees over 60,000 students visit each year, she’s seen the benefits of learning in an animal environment first hand. “Twycross Zoo is a fantastic destination for a school trip,” Sharon said. “We offer an exciting day where children can see some of the world’s most endangered species, and join in award-winning formal and informal discovery and learning programmes that really help to bring the natural world alive. 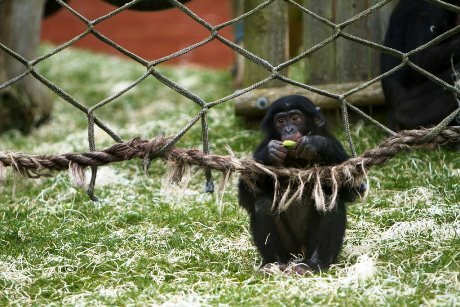 Pictured: Bonobos at Twycross Zoo. (Photo credit: Tony Wallbank, www.agimages.co.uk). Conservation in both primates and across the board of animals has played a big part in Sharon’s career. Teaching children the same passion for the wellbeing of living things is something she wholly supports. “Children start to develop the morals and values they will live by at a very early age,” she said. “Teaching them to care for and respect animals and our environment is key to the survival of endangered species and their natural habitats. School Travel Organiser asked Sharon why she thinks LOtC is an important part of a child’s educational upbringing. “Bringing children out of school to the zoo only enhances learning,” said Sharon. “It also gives them the opportunities to develop skills that they wouldn’t learn indoors. “We see children on our site able to run around in the fresh air; we have over 40 acres to explore. We see them enjoying outdoor picnics and learning how to interact with the environment around them and experiencing the sights, sounds and smells of the zoo. Pictured: Students on a zoo trail. As a child, Sharon herself had a series of memorable LOtC experiences. “I went to Nutgrove Primary School and Cowley High School in St Helens and remember having some really inspirational teachers, my Biology teacher in particular,” Sharon said. Despite receiving an OBE, Sharon still has ambitions for the future. 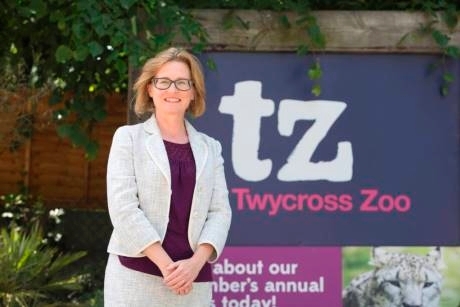 “We are working towards Twycross Zoo being an exemplar of a modern zoo. Interpreting our work so that the next generation know how they can help is a very important part of what we do. Pictured: Walkways into the visitor centre at Twycross Zoo. Key Stage 1, Habitats and Adaptations: Pupils will discuss animals that can be found around the world in different types of habitats and how they are adapted to live there. Geography is also covered by talking about continents, oceans and seasons and rainforests. Key Stage 2, The Circle of Life: The group will explore various groups of animals and explain how they differ in their life cycles. 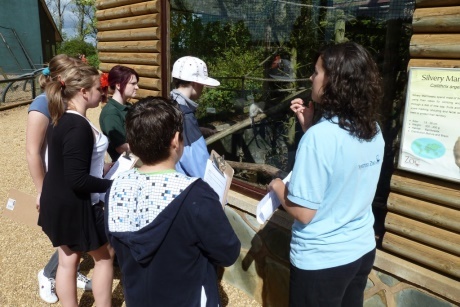 Pupils will investigate what classifications of animals are at Twycross Zoo and meet some along the way. Key Stage 3, Animals, Food and Humans: This session explores how organisms are connected through food webs, and how pollinators affect food security. Students will learn about the pros and cons of pesticide use and GM food crops, and participate in a debate about the future of food. Key Stage 4, Evolution and Classification: This session looks at the basics of genetics. Students will explore the process of evolution through natural selection, and discover how and why we classify animals into groups. Key Stage 5, Animal Welfare, Enrichment and Training: This workshop considers the role of a modern zoo and the reasons for providing high standards of welfare. Pupils will think about how high quality care is provided for animals through training, enclosure design and general zoo safety. Teachers can book a visit by e-mailing bookings@twycrosszoo.org. For further information visit www.twycrosszoo.org.